Dr. Brunsell gives an overview of some of the most powerful classroom applications in this summer PD series. Access to the Internet brings an almost unlimited amount of content to our fingertips. Effectively collecting, organizing, and making sense of this information is critical to learning. Ubiquitous access to information provides many opportunities and challenges for "formal" education systems. After all, what good is memorizing the atomic number for Iridium when you can just text Cha Cha? For most students, the "Internet as a source for information" is probably how they are most likely to use the web during the school day. However, do we encourage them to go beyond a simple search box? How often do we go beyond using a YouTube video as a hook (if our school even allows it)? I thought I would start this section with two innovative classroom examples. However, before we start, if you are going to do a lot with technology in your classroom you should be aware of your school policies and make sure that parents are informed. Here is an example permission form. The first example, from Marsha Ratzel, uses Twitter and a free service called Paper.li to bring multiple perspectives on current events to her Earth science students. By following news organizations, research centers, and individual scientists through a class account, her students have a constant stream of relevant content. The power of this approach really showed itself when I was looking for examples of student projects related to the spring 2011 earthquake and tsunami in Japan. Many of the examples I found were dry and simplistic factoid worksheets. However, Marsha turned her students loose on the resources from their Twitter account and challenged students to create rich multimedia presentations to tell the story from multiple perspectives. Read more about this example in The Ratzel Room Daily: Encouraging Kids to Think About Science in the Real World. In the second example, Christian Long sets his Language Arts students loose on TED. By assigning multiple talks to each student, his classes viewed and analyzed nearly 800 talks. Students identified characteristics of the talks that they found inspiring . . . and of those that were not. They wrote critically about each talk and gave their own presentations. Learn more at the TEDxClassroomProject blog. It often begins with a simple search. Of course, we have all used Google, but have you checked out the many search features? After you do a simple search, take a look at the left side of the page and click on "More Search Tools." Give the reading level and Wonder Wheel options a spin. You can also set a Google "Kid Safe" filter. Check out these videos for more Google search features. 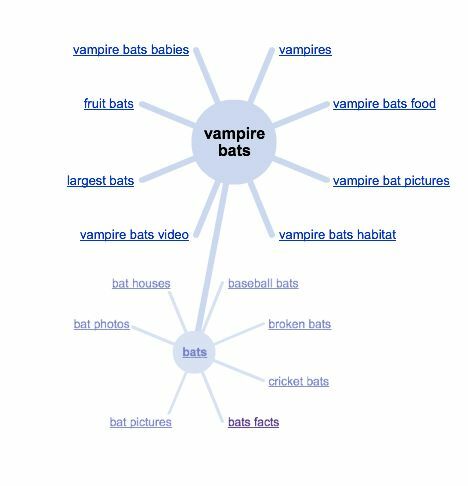 This article provides a great summary of other kid-friendly search engines. If you are looking for images that you can use without violating copyright, give Creative Commons Search a try. I find most of the images I use in presentations by using this search and clicking on the Flickr results. If you are looking for a search with a bit of a human touch, give Cha Cha and their trained guides a chance. You can even text them at 242-242 with your questions. NOTE: You get a few texts back -- the answer plus an advertisement -- make sure you check out their privacy statement before using this free service. Of course, as you search, it is important to be aware that different search engines personalize the results for you in different ways. You should use multiple search engines to help avoid this "Filter Bubble." The Web is chock full of great resources that you can use to supplement (or replace) your textbook. NBC Learn provides a great series of videos and resources for the International Year of Chemistry. ProCon.org uses a editorial "Pro versus Con" approach to provide an unbiased (or maybe multi-biased) information on controversial issues ranging from nuclear power to the D.A.R.E. program. The Smithsonian and Library of Congress are both beautiful websites with excellent classroom resources, including many primary source documents. ...not to mention all of Ken Robinson's excellent talks on creativity and education. Using the web often feels like drinking from a fire hose, and fortunately, there are many tools out there whose sole function is to help you get organized. Most web sites offer RSS feeds to help you keep up with changes in their content. You subscribe to these feeds with a web aggregator, or reader, so that you can easily view changes from multiple sources. Google Reader is one popular reader. NetVibes is another great way to aggregate web feeds for your personal reading or for your class. Delicious is a social bookmarking tool that helps you easily store, organize and share websites with your students or colleagues. Diigo is another social bookmarking tool. One benefit of Diigo is that it also lets you and members of your "group" annotate websites. Using Diigo for Organizing the Web for your Class is a blog post that describes how you can use Diigo with your students to "organize the web." 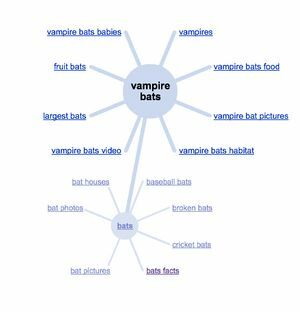 The tools and resources provided in this post provide a good starting point for exploring ways to help students collect, organize, and make sense of the information on the web. However, it only scratches the surface. Please share your thoughts and explorations in the comments below. Also, feel free to post additional ideas, resources, and tools that you find useful!